Many visitors come to Vermont for the winter snow sports. And then there is the fall foliage season with tourists arriving in droves. In the last few years, visitors have been drawn to Vermont for a very different reason…beer! That’s right, beer tourism has become big business because Vermont’s craft brews have become famous. 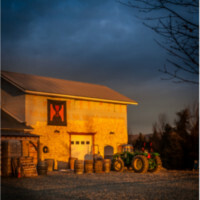 (For example, RateBeer named Hill Farmstead Brewery of Greensboro, VT the number one brewery in the world in 2015!) 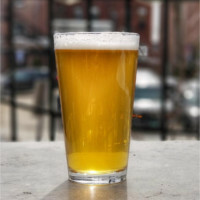 The Vermont Brewers Association reports that Vermont craft beer totaled $378.2 million in overall economic impact in 2017 with $126.7 million direct to tourism. 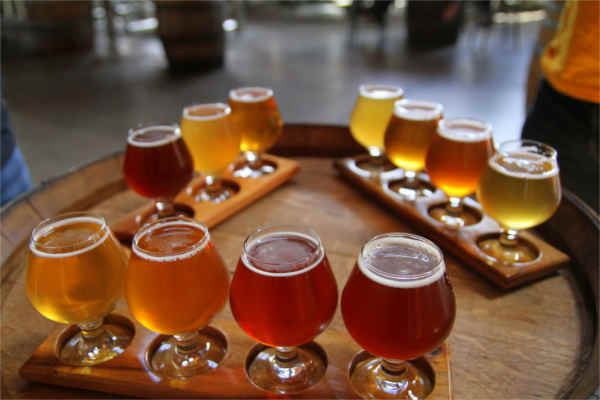 In addition, Vermont has the highest number of breweries per capita of any state. How did this phenomena come about? A number of those in the know credit Greg Noonan as the person who began the movement in Vermont. He not only founded The Vermont Pub & Brewery in Burlington, he wrote the go-to guide, Brewing Lager Beer, in 1984. Many successful brewmasters today learned the essentials under the direction of Noonan. 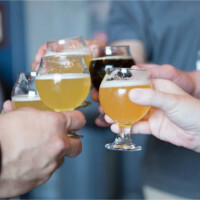 In addition, the locavore food movement as well as the consumers’ wish for high-end artisanal products helped boost small craft breweries popularity. Just as with the locavore cuisine, Vermont brewers experiment with local ingredients to craft unique and exceptional beers. This extreme variety has helped establish the basis of the brew tour. Whether walking from brewery to brewery in Burlington, or travelling by car across the state, no two brews will be the same. At some breweries, you will need to wait in line in order to purchase the product since demand often outpaces supply. The beer connoisseur does not want to be compared to the wine snob, but he is just as appreciative of a fine product and just as motivated to explore endlessly. Vermont has become the Napa Valley of beer. 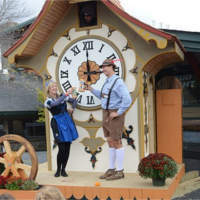 Once you’ve figured out which breweries you’d like to visit, find the perfect place to stay by consulting Vermont.com’s lodging pages. We look forward to seeing you soon!